Off-plan sales in Dubai’s booming property market rose 65% year-on-year in the first 10 months of 2017, reaching 18,000 units, according to new data from industry analysts GCP-Reidin. By comparison, 9,623 completed units were sold during the same period of 2017, compared to 9,183 in the first 10 months of 2016. 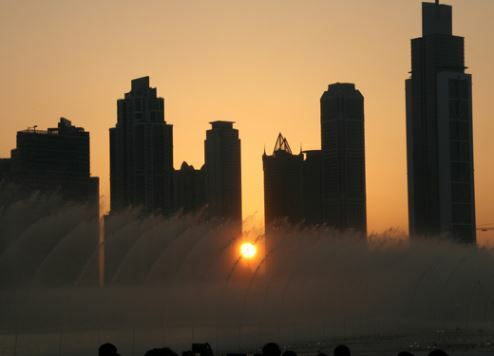 Unsurprisingly, the boom in off-plan sales were mostly recorded in Dubai’s up-and-coming districts. Dubai World Central was the city’s most important area for off-plan property sales, reporting a staggering 880% increase compared to 2016, followed by Emaar’s Dubai Hills Estate (628%), Jumeirah Village Circle (152%) and Dubai Creek Harbour (88%). The First Group is currently developing its upscale hotel property, The One at JVC, in Jumeirah Village Circle. The hotel, which will operate as a Ramada Plaza, is situated in a prime location just minutes from the Expo 2020 Dubai site. Other locations close to the Expo site have also proven popular with Dubai property investors in 2017. Discovery Gardens, which is located close to JVC, saw a 42% rise in property transactions during the surveyed period. The rise in off-plan sales in 2017 reflects the stellar performance of the sector at this year’s Cityscape Global event in Dubai. The annual real estate investment show allowed developers to promote off-plan sales for the first time, which led to 106 investors making deposits on planned properties on the first day of the show, compared to just 37 in 2016. “Looking back at the opening day for 2016’s edition compared to 2017’s we can see a dramatic leap in the number of registered DLD transactions made for off-plan units,” commented Lynnette Abad, partner and head of Property Monitor.